Princess Celestia is the wise and kind ruler of Equestria. 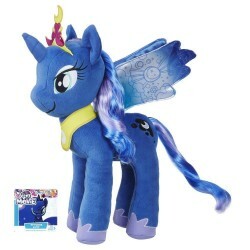 She governs her subjects from her castle in Canterlot, and with the help of her younger sister, Princess Luna, she makes sure the sun and moon rise and set each day. 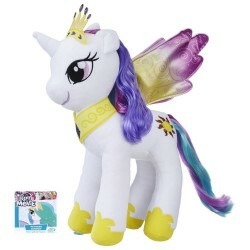 Kids can cuddle up with this soft Princess Celestia plush figure while imagining stories from My Little Pony: The Movie and My Little Pony Friendship is Magic television series. 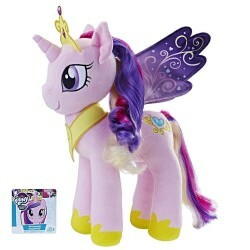 She comes princess-ready with beautiful wings, sash, and crown.